The RE420-RC3 Wireless Head with RE420 Cardioid Capsule from Electro-Voice is a robust, high performance, dynamic cardioid thread-on vocal microphone head for wireless handheld transmitters. It can be used with Electro-Voice and many other brands of wireless handheld transmitters that use the common 3-contact rings, 1.25" diameter by 28-thread pitch coupling convention. 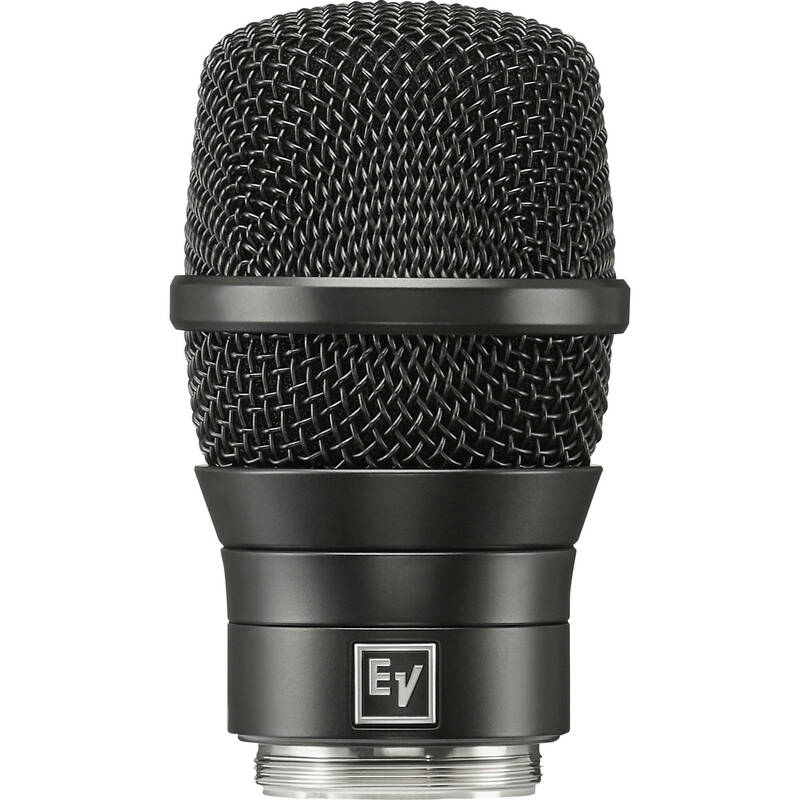 Designed for excellent all-around voice applications, the RE420-RC3 capsule delivers warm low-end, open mid-range, and a clear high-end sonic signature, as well as isolation from sound on the stage. A multistage pop filter consists of two layers of dense foam separated by air, which attenuates wind velocity caused by breath and windblasts. In addition, an internal shock mount isolates the microphone element from vibration and guards against handling noise. You can use the RE420-RC3 Wireless Head with an RE420 Cardioid Capsule with confidence near speaker cabinets and EMF-generating equipment racks.